As a mom of two kids, Rachelle knows strong schools are an investment in our children’s future. She’ll fight for more school funding with less of a reliance on property taxes, so teachers will have the resources they need without local families having to pay the price. She’ll fight for fairer school funding, so every child will have the opportunity to succeed. Higher education needs to more affordable; Rachelle will support funding for programs like MAP grants that provide money to students in need. The best way to build the Illinois economy is to invest in our local communities and people. Investing in businesses and workers will create more good-paying jobs, and make our community safer, stronger, and have a brighter future. Rachelle will fight to bring more development to our community, support infrastructure projects that rebuild the state and create jobs, and work to cut red tape to help new businesses get started. She’ll also always protect the rights of working families, including a living wage and collective bargaining. Property taxes are out of control and families need relief. Families shouldn’t have to chose between higher local taxes and lower quality schools. That’s why Rachelle will fight for more state funding for our schools to take the burden off local taxpayers. Rachelle will also be a strong advocate for responsible budgeting. Illinoisans were hurt by the budget impasse caused by partisan politics. Rachelle will protect funding for vital services for our most vulnerable and work across the aisle to cut waste like redundant government. As a prosecutor, Rachelle will bring her high ethical standard to Springfield. She’ll fight for campaign finance reform, tougher ethics laws for government officials, term limits, and redistricting reform. She’ll will fight corruption by making it against the law for legislators to resign and then immediately start lobbying. She’ll also vote for term limits for legislative leaders because no one should make a career out of being a politician. Rachelle supports a fairer, more transparent, and less partisan redistricting process. 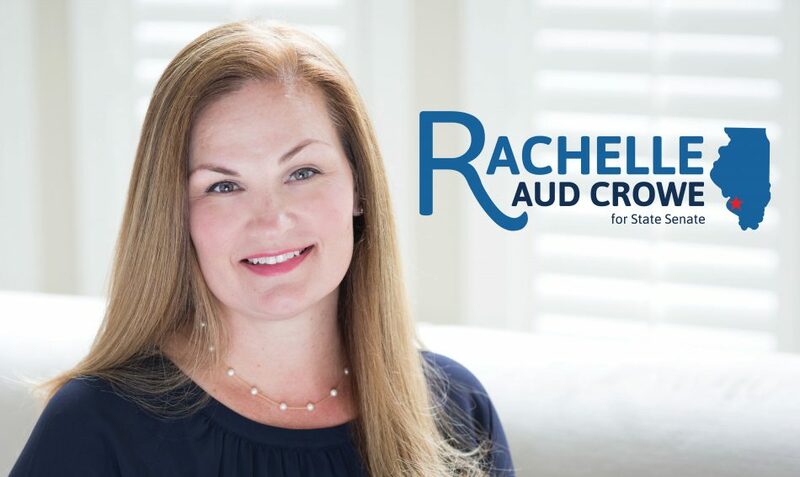 Rachelle has spent her career prosecuting crime and advocating our families. With her background in law enforcement, Rachelle will continue to fight to make sure our communities are safe, including fighting against the opioid epidemic that has hurt so many families and fighting for increased protections for seniors. Rachelle will also stand up for our families on the values that matter.